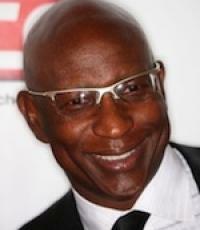 Direct Sportslink secured Eric Dickerson as the keynote speaker for the Orangewood Childrens Foundation. Eric, is a resident of California and one of the greatetst running backs to ever play the game. He spent many of his greatest NFL years with the Los Angeles Rams. To hire Eric Dickerson for any speaking engagement or appearance please contact a Direct Sportslink sports celebrity booking agent. Direct Sportslink also designed the Official Eric Dickerson Website for Eric Dickerson news, twitter, and contact information. Orangewood Children’s Foundation had the true honor of having Eric Dickerson present as the keynote speaker at our 16th Annual Ambassador Luncheon. This luncheon was attended by over 600 guests from Orange County’s business and philanthropic community and is a major fundraiser for our non-profit. Eric was the consummate professional from start to finish. He was fully engaged and took the time to really understand who Orangewood is and drew so many relative parallels between his life experience and our mission. We received so much positive feedback on how accessible, friendly and engaging Eric was at our VIP reception, during the luncheon and even post event. His presentation at the podium was an amazing mix of childhood, college and NFL experiences that took the audience from moments of awe to bouts of laughter. As a person who has booked many speakers for events over the years, I can honestly say that Eric is among my top 3! A big thanks to Direct Sportslink for your advice and efforts. An Eric Dickerson personal appearance, Eric Dickerson speaking engagement, or Eric Dickerson endorsement will reflect well on your company. To hire Eric Dickerson now for any corporate appearance, fundraiser, motivational speaker event, personal appearance, autograph signing, or website endorsement please contact our celebrity agents at 1-877-6-SPORTS. We will contact Eric Dickerson or contact Eric Dickerson's agent and provide you with the booking fees and availability immediately upon your request. Direct Sportslink is the only sports speakers bureau and talent booking agency based in the United States securing only sports talent for corporations, associations, and organizations for motivational speaking engagements, personal appearances, and endorsements. We are the premier sports celebrity booking agency and a sports celebrity procurement expert. Accordingly, we will provide you with any relevant Eric Dickerson website information and booking agent details so that you can hire Eric Dickerson for your next event. 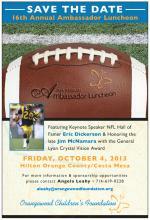 The 6-foot-3, 230-pound Dickerson ran the 100-yard dash in 9.4 seconds as a high school student. At Southern Methodist University, he rushed 790 times for 4,450 yards and 48 touchdowns in four seasons and was a consensus All-American running back in 1982. A first-round draft choice of the NFL's Los Angeles Rams, Dickerson was named rookie of the year by the Associated Press and National Football Conference player of the year in 1983, when he rushed for 1,808 yards to lead the league. Dickerson gained 2,105 rushing yards, 2,244 combined rushing and receiving yards, and rushed for 100 or more yards had in 12 games, all NFL records, in 1984. 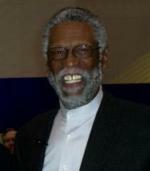 He led the NFL in rushing for a third time with 1,821 yards in 1986, however, disputes with team management led to his trade to the Indianapolis Colts after the third game of the 1987 season in a major three-team deal that also sent rookie linebacker Cornelius Bennett to the Buffalo Bills. With the Colts, Dickerson was the NFL rushing leader for the fourth time in 1988, and the following year he set a league record by gaining more than 1,000 yards rushing for the seventh season in a row. Dickerson was later traded to the Green Bay Packers in 1993 but retired after failing the team's physical examination. 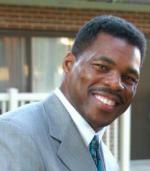 He is a member of the Pro Football Hall of Fame and widley considered one of the greatest running backs ever. He lives in California. Based on your interest in Eric Dickerson as a speaker or for a personal appearance, Direct Sportslink has provided you additional links below for other sports talent with similar appearance fees, speaker topics, and categories that match Eric Dickerson.